Apple is planning to unveil its next-generation operating system for iOS devices, iOS 11, in less than a month. Despite the imminent debut date of the new OS, we've heard very little about what we should expect to see in the update. 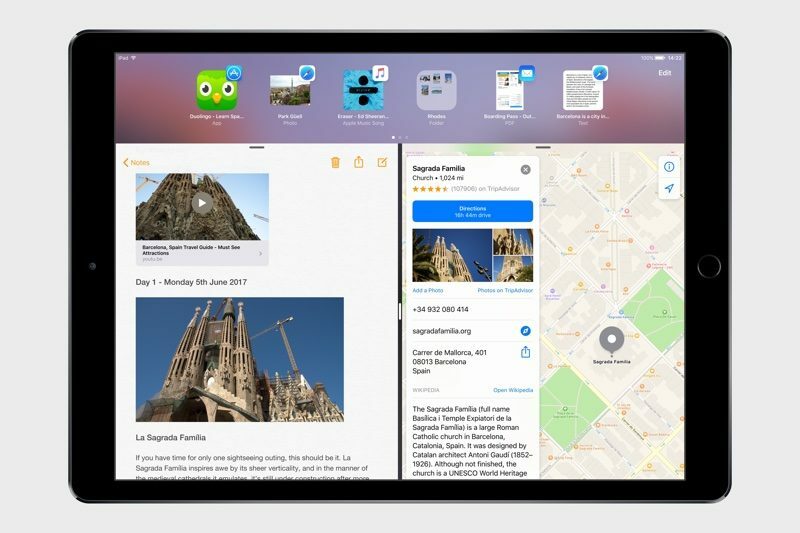 Based on the fact that iOS 10 offered very few features for the iPad, Federico Vittici of MacStories, who uses an iPad for much of his daily work, has imagined an iOS 11 update wishlist that overhauls the iPad interface, introducing new iPad-only features that many pro users would undoubtedly love to see. Vittici collaborated with designer Sam Beckett to bring his iOS 11 wishlist to life, providing concrete examples of ways Apple could redesign the iPad experience. System-wide drag and drop functionality that would let users drag content between apps or from one iPad split screen window to another is at the top of Vittici's list. Images, text, links, documents, and more could be dragged using intuitive long press gestures. In the example image below, text from an email is dragged into a list in Reminders. 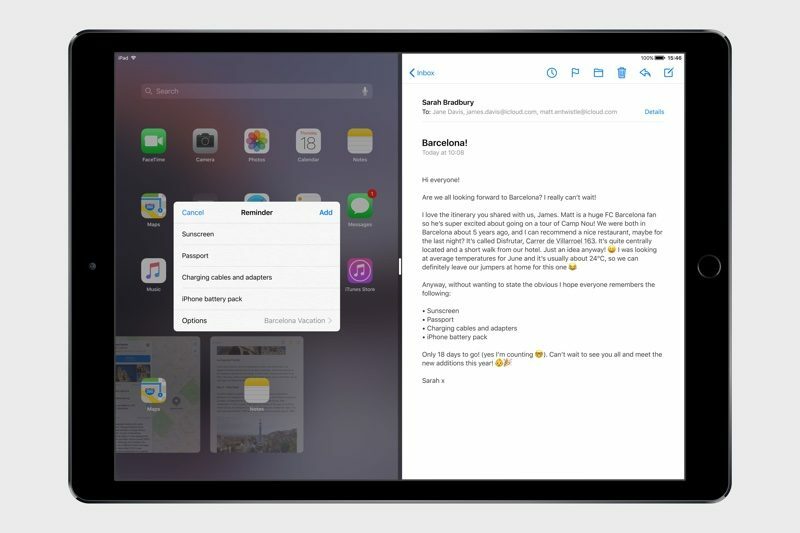 An imagined "Shelf" feature goes hand-in-hand with drag and drop, giving users a place to store anything on the iPad they want to reference at a later time. It's similar to the desktop on a Mac, storing items for easy access. Viticci's other iOS 11 wishlist items include a new Split View app picker with a search feature and a better layout, a Mac-style Finder app that works with iCloud Drive for a more consistent document-finding interface, a denser home screen, multiple audio streams, and a refreshed design with bolder typography and more of a focus on visual feedback. For additional images and a more detailed explanation of the items on Vittici's iOS 11 wishlist, make sure to check out the full article over at MacStories. Here's a rumour. iOS 11 will be just like any other iOS in the past few years. Unnecessary upgrades and "improvements", something Siri, something share to your friends, something much more performance-efficient, something emoji. Oh and cringey WWDC as always. But as always, we will be overly excited for it then be awfully disappointed once we just get another absolutely pointless iOS upgrade. It cannot be said enough. The ENTIRE iOS Springboard UI of icons and folders needs a substantial overhaul. It is extremely cumbersome and outdated. This is Apple's opportunity to innovate. Not just features but how we access our apps. I love these ideas so much. Too bad we're probably not going to get any of them. What's the point of this? We're only 3 weeks away, iOS 11 is conceptually already finalized. Without a real os it's still nothing more than a toy. You lost Apple at "Pro Features"
Does seem kind of random. These kinds of things (especially being posted like news) make people get their hopes up, which generally leads to disappointment. Why waste your time making this video?